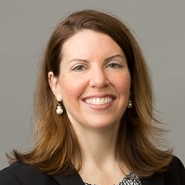 In an article published in the March 2019 issue of Intellectual Property Magazine, Partner Katherine L. Neville, Ph.D. discusses how the Supernus v Iancu case can affect patent prosecution strategy. “Supernus held that patent owners cannot be docked patent term adjustment (PTA) days under 35 USC 154(b) for filing a supplemental information disclosure statement (IDS) during a time when the applicant could not have used “reasonable efforts” to advance prosecution in the pending application,” explains Neville. On June 10, 2014, Supernus was granted US Patent No 8,747,897 and earned 1,260 days of PTA as a result of various delays during prosecution, subtracting over 800 days due to applicant delay by filing an RCE and Supplemental IDS to include art submitted in an Opposition proceeding. “Supernus filed a request for reconsideration of the PTA arguing that the delay in filing a supplemental IDS was not controlled by the fact they filed an RCE, as dictated by 37 CFR 1.704(c) and as decided in Gilead Sciences Inc v Lee (778 F.3d 1341 (Fed Cir 2015)),” says Neville. Under 1.704(c), filing an IDS 30 days after receiving notice of art cited in a foreign counterpart application is considered to be a “reasonable effort.” The court did not mention the date Supernus received the opposition, but determined Supernus did not act diligently after the Notice of Opposition. Subscribers may access Dr. Neville’s full article “A Period of Adjustment” online at Intellectual Property Magazine.